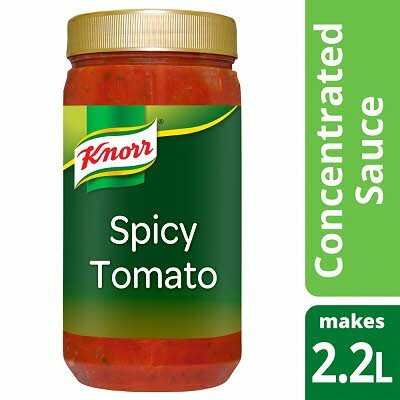 Tomato paste* (44%), water, tomatoes* (15%), sugar, glucose fructose syrup, onions (4.2%), modified maize starch, herbs (1.8%)(basil, oregano, parsley), rapeseed oil, salt, garlic, black pepper, red chilli pepper, lemon juice concentrate, chilli extract. *Made from sustainably grown tomatoes. Cook meat, fish or vegetables as desired then simply add one part of 'Create More' concentrated sauce to one part of water, stir and simmer for 5 minutes.